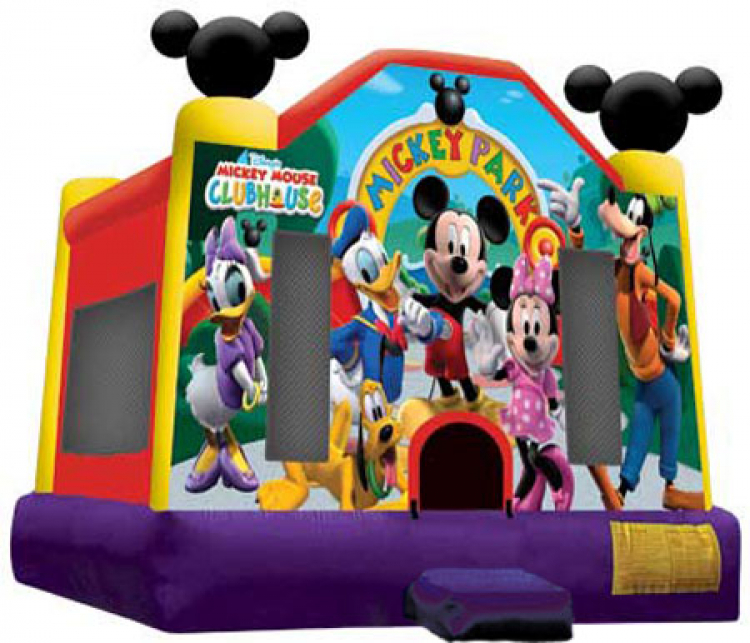 Mickey Park Bouncer - Bounce House & Party Rentals | Inflatable-Kingdom.com Jackson MS.
Are you planning a Mickey Mouse themed for your child’s birthday party? 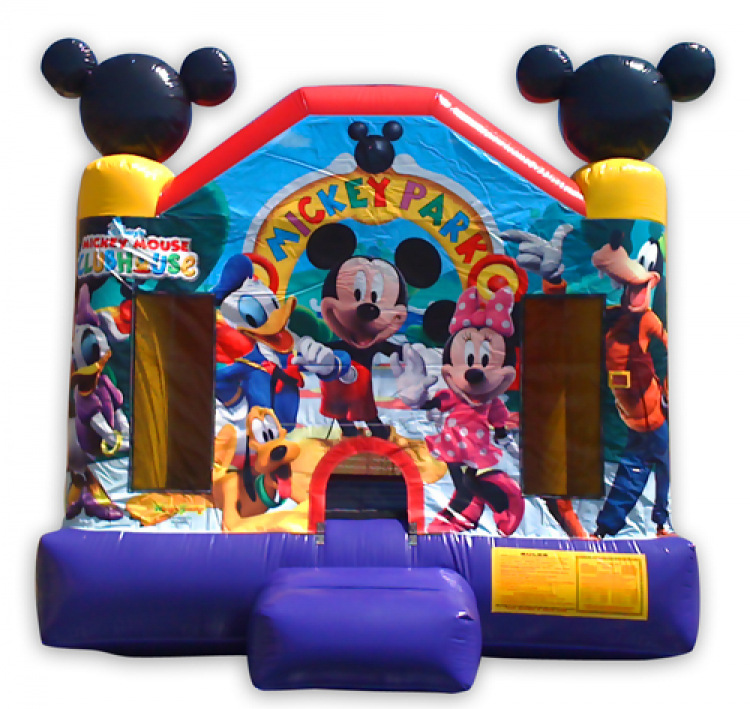 Well rest assured this Mickey Park themed bouncer is perfect entertainment for your smaller children. This moonwalk features a beautiful picture of Mickey, Minnie, Daffy, Daisy, Goofy and the Mickey Mouse's faithful pup, Pluto. 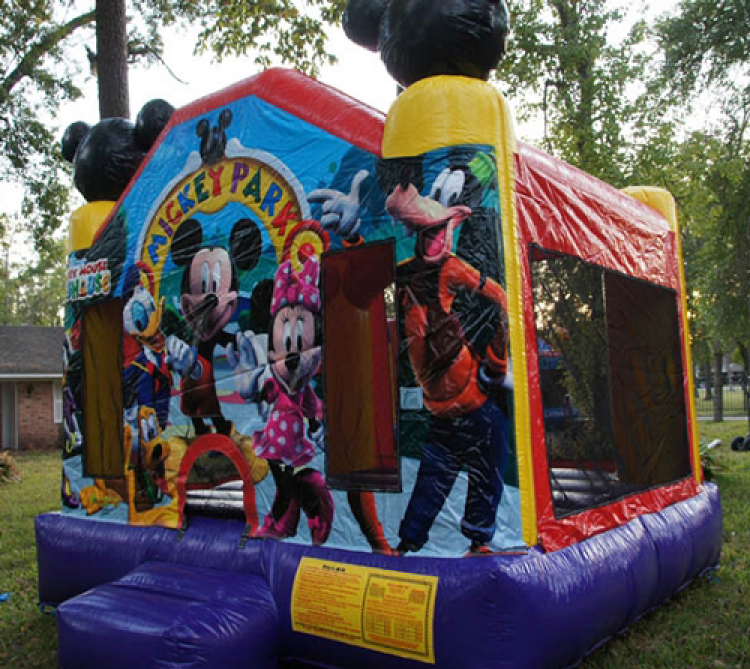 This space jump is perfect for kids to jump alongside friends all day! 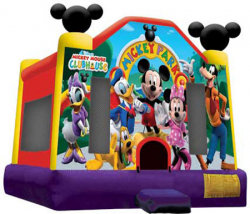 This bounce house is the perfect way to combine fun and a healthy activity. Children enter and exit via an entrance ramp encourages kids to enter one by one. Also, our 360-degree mesh windows allow parents and guest an awesome view of children jumping in a safe and clean environment. This makes for some awesome photo opportunities. Go ahead and add this awesome space jump to your cart. 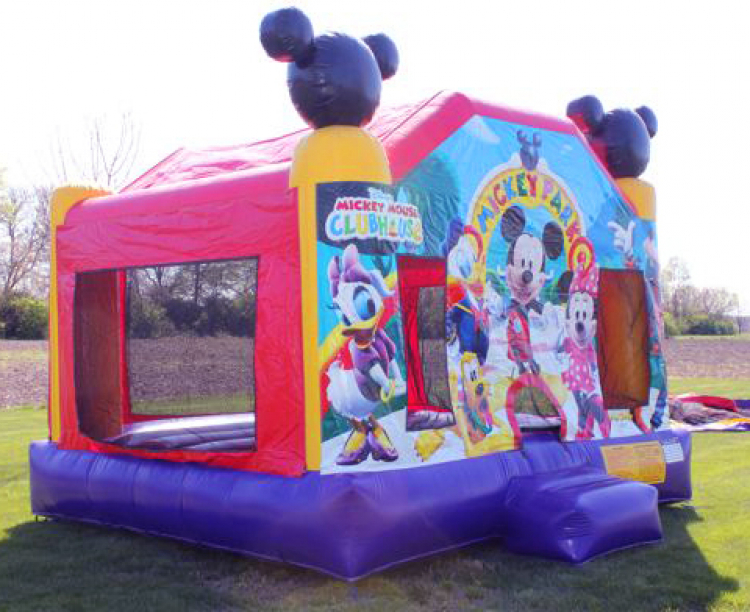 This bouncer rents often and very quickly.